When it comes to ‘everyday’ hair, we make do with our shampoo, conditioner, probably a little serum and maybe a little hairspray. In fact, our little routine has our ‘go-to’ style (mines hair down) pretty much on point because we know how to work with it by rote. However, when it comes to a special occasion, or we’re looking for something a little more structured, with a little more flair, our usual products just doesn’t cut it. Like if I wanted to curl my hair, these products just won’t do the trick- the curls would fall lank pretty quickly and end in total disaster- fetch us the paper bag already! But there’s a collection in town that won’t let you down. And we tried these, with lots of different styles; we’re loving the L’Oréal Professional style collection. You can pretty much use your everyday shampoo and conditioner with these products to create whatever looks because they do the work for you. However, we would recommend using a shampoo and conditioner duo that will compliment what you’re trying to achieve. For example, a volume range for up-do’s, a little lift, curls or even additional grip; smooth and sleek for as it’s says styles that are smooth and sleek. What: Tecni Art PLI Spray; use to create more volume and stability in the hair. Team it with the Full Volume Extra Mousse for additional support. How to use: on towel dried hair spray liberally, directly onto the roots. Follow with a quick mini scalp massage to really work the product into the hair. You may find it easier to section the hair before spraying to ensure you get a good coverage of product. 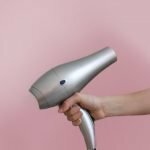 Tip: give your hair a quick blast with the hairdryer on full and use your hands to move the hair in an upwards direction. Once you’ve done this follow our blow-dry guide to help create volume that holds. What: Tecni Art Full Volume Extra Mousse is a product to use when you want to create stable curls, waves or additional volume. How to use: On towel dried, damp hair, get a kiwi size amount of the product through both your hands and work it into your roots and all over your scalp to give your hair a starter in creating more volume. If you’re looking to create curls as well, get a slightly smaller amount and scrunch some more of the mousse through the mid length to ends of the hair. This product acts as a grip so that when you’re styling it, it makes it easier for the hair to take shape and hold. Tip: give your hair a quick blast with the hairdryer on full and use your hands to move the hair in an upwards direction. If you’re looking for volume, follow our blow-dry guide or if you’re looking for curls/waves follow our top tips. What: Tecni Art Liss Control serum– a soft and silky serum that will give you that polished professional look. How to use: For a slick and smooth style, whether hair down, pony or updo, work ½ a pump of the serum into both of your hands and run from mid lengths to ends, use any excess to smooth flyaway hairs and tidy the underside. It may feel like it’s going to be greasy but it isn’t and you’ll be amazed by the results. Tip: we’d even recommend using this on damp hair to make it easier to comb your hair out and will already create that smoothness when you’re drying it, which means, less chance of frizz. Also, with this product, we’d recommend using the smallest amount, if you need more, you can always get more. What: Tecni Art Fix Design– the ultra-hold fixation hairspray; the ultimate finishing product for up-dos. How to use: When you’ve created your desired up-do, spray from a distance of at least 10cm- it leaves no obvious residue but you know it’s supporting you. Tip: Not suited to hair-down styles because it won’t give you the same type of hold as hairspray. This is primarily an up-do setting spray. To set hair-down styles we can’t recommend the Elnett spray enough.